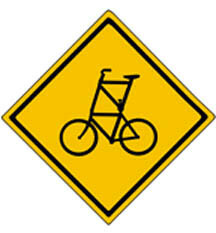 bikecrossing, originally uploaded by Green Biker. Last Year the Republican National Convention was welcomed by our favorite mayor Bloomberg, a suposed Democrat. As our city bent over to a few rich Texans and wealthy business types it also decided an appropriate response to anyone who was not down with the program was to be locked up and held in a toxic bus depot until the dust settled. As most of these cases are being dismissed, or we hope so, it is clear that civil liberties come last and corporate interests come first. The once every 4 year, Republican National Convention also happened to fall on the once a month critical mass ride that has been going strong in NYC for the last 10 years. Last August the critical mass suddenly became deemed a protest ride only for the Convention and we were told it was taken over by anarchist hellbent on civic destruction. This is another example of how the police misinterprets a peaceful event that should be congratulated for helping the public health of our polluted city and not treated like a terrorist activity. For the last 11 months its been a war with the NYPD ever since. Now it's coming up on the one year anniversary of the ride which had 5,000 people and put critical mass on the map. During that August, someone came up with the idea (yours truly) to hijack the name of our "one party system" celebration and make it the BIKE NATIONAL CONVENTION. In the spirit of bike summer which is held for a month in a differenent city every year...the BNC would be an opportunity to hold bike riding events and highlight all the great echo friendly things you can do in this town with a bicycle and a great community of peddlers. Well it's back. Thanks to the fine volunteers at times Up, August is looking to be a great month to be on a bike. It all kicks off Friday, August 12th, which is also the Brooklyn Critical Mass. Check the Time's up website for schedule. Haben Sie je ein Deutsch hat gemacht Fahrrad befreit?